Once the final car crunching hit had been made Thorne stood on the roof of what was left of his #52 Hyundai Excel and celebrated with the crowd in a fashion that rivalled the winner of the Daytona 500! “Mate I can’t believe it. We made the decision to put a car together on Thursday night to give this Demo a shot and here we are. The car was an old ladies’ daily driver we picked up for a couple of hundred bucks and it got the job done. This is my first ever demolition derby, but I doubt it will be my last” added Thorne as he held the winner’s trophy. Jayden Edwards, who had earlier had a pretty quiet night in his Street Stock, survived to be one of the final three cars in the Demolition Derby before being eliminated by the eventual winner but he walked away with the “Most Damaged” trophy while Sarah was speechless after her car was voted as the “Best Presented Car” in the 113 car field. Prior to the U-Pull It Demolition Derby there was an action-packed racing program that included the final round of the MJS Street Stock Series, Junior Sedans and Modlites. With a field of over 30 Street Stocks in the pit area the racing all night was of a high quality but there was no stopping Australian Champion Anthony Beare as he led all 30 laps to defeat a fast finishing Sam Brumfield. 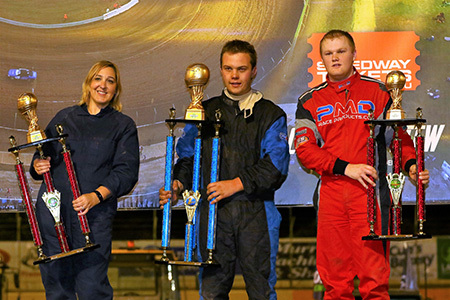 Justin Brumfield and South Australian Champion Steve Gartner completed the podium in the Grand Final of the leading Street Stock Series in Australia. 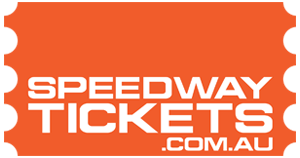 Neville Nitschke, Nigel Reichstein, Jayden Edwards, Scott Mason, Cade Cox and Haydon Jolly completed the top 10 in the 20 driver A-Main field. Earlier Justin Brumfield, Anthony Beare, Mick Dann, Nigel Reichstein, Mark Gartner and Sam Brumfield were all victorious in a heat race while Corey Sandow, Haydon Jolly, Dave McEwin and Ben Tuttle transferred into the final via the Last Chance Qualifier. In the Junior Sedans Drew Flatman defeated Sharni Pitcher and Chelsea Gwynne in the final while Chris Ferguson set his second Track Record of the season adding the 20-lap Modlite Track Record to the 15-lap record, he set back in February. Second place went to Whyalla racer Justin Chadwick, who led the opening 18 laps of the race, while Brook Alexander, Andrew Launer and Brian Chadwick completed the top 5. The final meeting of the MMS season will be on Saturday April 27 with the running of the Autopro Murray Bridge John Dawson Memorial Super Sedan Classic. The night will also feature Late Models, Street Stocks and Team Demo Derby Racing. The following Sunday Afternoon will be the annual Promotions / Sponsors Day.